If you're the kind of Strat player who wants more punch out of the bridge position, this distinctive Fender Standard HSS Stratocaster is made for you. It's got that classic look and feel that only a Strat can deliver, with the added muscle of a bridge humbucker, so you can go from glassy single-coil tones to heavyweight growl and scream with the flip of a switch. 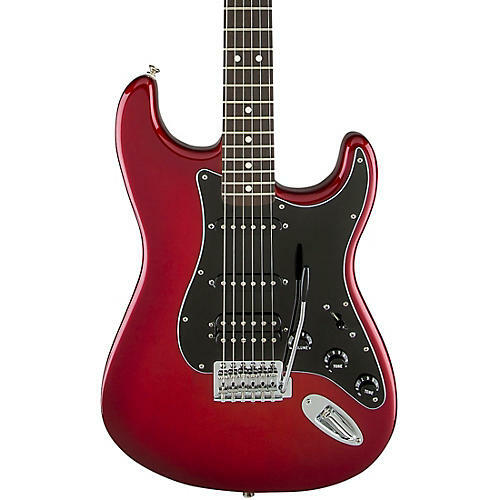 This special Strat features a cool look with candy red burst finish and black pickguard. Case sold separately.